Atlantic Gastroenterology (Brooklyn) - Book Appointment Online! 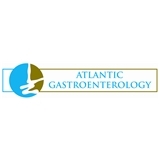 The physicians and staff at Atlantic Gastroenterology has the staff and new equipment to provide you with the best possible gastroenterology care possible. Our facility has undergone a rigorous survey and inspection by one of the leading nationally recognized Accreditation bodies. In addition, all of our physicians are Board Certified in Gastroenterology by the American Board of Internal Medicine. Dr Alexander was very courteous and made me feel very comfortable and understood my concerns and he show that cared. I would recommend him to anyone.